Are you a normal swimmer? Have you ever practiced Aquagym in Sydney? Let us know!. Regular users from the following varieties of Sydney Swimming Pool told us the most essential factor about swimming is to manage your breathing. Sometimes this is not possible simply because we raise the neck to breathe and the body is just not aligned. To avoid this, our head need to be aligned with our spine all the time. We in all probability don't know all the Pools in Sydney. Are you missing any? Contact us!. For Sydney and its vicinity, we're showing you all the registered pools, a few of them have no GPS coordinates and can't be discovered on the map at the map. 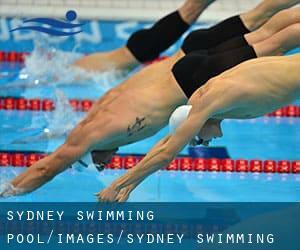 The very best option during your visit to Sydney will probably be droping by a Sydney Pool. Before trying any pool, make sure you know the rules and regulations for varieties of Sydney Swimming Pool as they may not be the same as inside your home town. We recommend you contact the pool directly to ask if you will need a hat, and what kind of footwear or specific clothing you will need. Enjoy the best indoor pools in Sydney and don't worry about the weather. These facilities are open all seasons and you can enjoy a swim at the same temperature every day of the year. One of the advantages of outdoor swimming in Sydney may be the possibility to sunbathe in the course of the summer season. Taking it with additional care, sunbathing is wholesome since introduces Vitamin D into the body, so the best option seems to be switching between indoor and outdoor pools based on the season. There are numerous alternative treatments to chlorination, with great advantages that guarantee much better water quality within the pool. 1 possibility is the mineralizer, which purifies water naturally and significantly decreases the chemicals used and maintenance time. Try Chlorine Free pools in Sydney. There are several reasons why you need to choose a heated swimming pool in Sydney. The most important one relies on the significance of keeping the body temperature stable. If the water is as well cold, your body will try to warm it up and you will shed strength to swim properly. If you're tired of having eyes and irritated skin, discovering a saltwater pool in Sydney can be the solution. You must understand that the level of salt from these pools is well below the level of salt from sea water, specifically they're talking about a tenth or much less. Updated on 2019 The Parkway , Bradbury , Sydney Metropolitan Area , NSW , AUSTRALIA (Postal Code: 2560). This sports centre offers 25 meters, 8 lanes, Indoors. For this Pool, only phone number is number here. Updated on 2019 Gymnasium Road , Marsfield , Sydney Metropolitan Area , NSW , AUSTRALIA (Postal Code: 2109). This great and large sports centre lets professional swimmers like you enjoy Olympic size x 20 meters, 8 lanes, 1.3 meters - 2 meters depth, 1.3 meters - 2 meters depth, Outdoors. Additionally, within these facilities you can try 25 meters x 12 meters, 6 lanes, 1 meters - 1.5 meters depth, 1 meters - 1.5 meters depth, Indoors. Phone number and e-mail address are number for this Pool. Updated on 2019 Corner of Emerald Drive and Feldspar Road , Eagle Vale , Sydney Metropolitan Area , NSW , AUSTRALIA (Postal Code: 2558). This sports centre delivers 25 meters, Indoors. For this Swimming Pool, only phone number is number here. Updated on 2019 Fields Road , Macquairie Fields , Sydney Metropolitan Area , NSW , AUSTRALIA (Postal Code: 2564). This sports centre delivers 25 meters, 8 lanes, Indoors. For this Pool, only phone number is number here. Updated on 2019 Merrylands Park , 17 Burnett Street , Merrylands , Sydney Metropolitan Area , NSW , AUSTRALIA (Postal Code: 2160). This sports centre offers Olympic size, 8 lanes, Outdoors. For this Swimming Pool, only phone number is number here. Updated on 2019 89-113 Kent Street , The Rocks , Sydney Metropolitan Area , NSW , AUSTRALIA (Postal Code: 2000). Among all the activities provided by the centre, when you are interested in swimming you might enjoy 20 meters, Indoors. Just in case you need to contact this Swimming Pool before dropping by, we only know the phone number. Updated on 2019 4 Alfred Street South , Milsons Point , Sydney Metropolitan Area , NSW , AUSTRALIA (Postal Code: 2061). Swimmers like you have reported Olympic size, 8 lanes, Salt Water, Outdoors. Also, you will find 25 meters, 6 lanes, Salt Water, Non-Chlorine Sanitized, Indoors. Just in case you would like to contact this Swimming Pool before dropping by, we only know the phone number. Updated on 2019 1 The Esplanade , Cronulla Beach , South Cronulla , Sydney Metropolitan Area , NSW , AUSTRALIA (Postal Code: 2230). Swimmers like you reported 25 meters, 5 lanes, Indoors. Unfortunately we do not have the email address of this Swimming Pool, but we can give you the phone number. Updated on 2019 Carwar Ave. , Blakehurst , Sydney Metropolitan Area , NSW , AUSTRALIA (Postal Code: 2221). Among all the activities provided by the centre, when you are interested in swimming you will enjoy Olympic size, 7 lanes, Outdoors. Just in case you want to get in touch with this Swimming Pool before dropping by, we only know the phone number. Updated on 2019 Portland Street , Enfield , Sydney Metropolitan Area , NSW , AUSTRALIA (Postal Code: 2136). Swimmers like you reported 25 meters, 8 lanes, Indoors. Phone number and e-mail address are number for this Swimming Pool. Updated on 2019 Amour Park, Marco Ave. , Revesby , Sydney Metropolitan Area , NSW , AUSTRALIA (Postal Code: 2212). Swimmers like you have reported Olympic size, 7 lanes, Outdoors. Also, you will find 25 meters, 6 lanes, Indoors. Just in case you want to contact this Swimming Pool prior to dropping by, we only know the phone number. Updated on 2019 Church Street , Lidcombe , Sydney Metropolitan Area , NSW , AUSTRALIA (Postal Code: 2141). Swimmers like you reported 25 meters, 6 lanes, Indoors. Unfortunately we do not have the email address of this Pool, but we can give you the phone number. Updated on 2019 20 Wellington Rd. , Birrong , Sydney Metropolitan Area , NSW , AUSTRALIA (Postal Code: 2143). This great and large sports centre lets professional swimmers like you enjoy Olympic size, 8 lanes, Outdoors. Additionally, within these facilities you can try 25 meters, 8 lanes, Indoors. Unfortunately we do not have the email address of this Pool, but we can give you the phone number. Updated on 2019 Dence Park , 26 Stanley Road , Epping , Sydney Metropolitan Area , NSW , AUSTRALIA (Postal Code: 2121). This sports centre offers Olympic size, 6 lanes, Outdoors. For this Swimming Pool, only phone number is number here. Updated on 2019 Milson Road , Cremorne Point , Sydney Metropolitan Area , NSW , AUSTRALIA (Postal Code: 2060). This sports centre offers 22 meters+/-, 2 - 3 lanes, Outdoors. For this Swimming Pool, only phone number is number here.